What could be better timing to take a look back on the most spectacular animals described as new to science throughout 2018 than 19th March, Taxonomist Appreciation Day? For the sixth time around, biologists from across the world are all hyped-up about this special date when we celebrate the experts who put things in order by giving names, identities and belonging to what the world has thought non-existent only a moment ago. After all, no sooner is a species formally acknowledged than it can be studied, understood and protected. Having said that, at Pensoft and ZooKeys we’re immensely proud of becoming a prime publication choice for marine taxonomists from around the globe. Amongst them are the authors of not one or two, but FIVE exceptional animal curiosities, now recognised by a selected committee and the World Register of Marine Species (WoRMS), and featured in the TOP 10 Marine Species of 2018. We fail to find the obvious reason why locals diving in the waters of Hachijo-jima Island (Japan) had already likened this dazzling seahorse to a “tiny baby pig”, when a research team collected specimens and identified them as a species new to science. Naturally, the scientists assigned it with the name japapigu, which translates to “Japan Pig” in Japanese. One thing is for sure, though, the stunning seahorse wouldn’t demand a degree in Zoology to attract anyone’s attention, had it not been for its expertise in camouflaging itself against the colourful algae-covered rocks. News story by Douglas Main via National Geographic. Check out the study by Graham Short, California Academy of Sciences (USA), Dr Richard Smith, Pipefish Stickleback Specialist Group (UK), Dr Hiroyuki Motomura and Healy Hamilton, both of the Kagoshima University Museum (Japan), and David Harasti, Port Stephens Fisheries Institute, published in the open-access journal ZooKeys at: https://doi.org/10.3897/zookeys.779.24799. Photo by DST/NRF ACEP – Spatial Solutions project team. Sure, who would go for a rigid shell left behind by a random gastropod – just like “ordinary” hermit crabs do – when they could reach for a light, soft and elastic “blanket” instead? That’s exactly what the blanket-hermit crab Paguropsis confusa and its sibling species have been doing as they evolved to live in a cosy symbiosis with sea anemones. While the translucent anemone peacefully “shares” the crab’s meals and grows its zoophytes around the soft-bodied crustacean, the latter is free to easily draw them up and down – as if they were a real silky duvet – and even completely cover its head whenever it feels threatened. The crab species name is “con­fuso” in reference to its morphological resemblance to the closely related species Paguropsis typica. In fact, had it not been for the similarity, what we now call Paguropsis confuso would’ve most likely been described well over a century ago. I was previously unaware of the 'blanket hermit crab,' which gently tugs an anemone up around its body like a cozy snuggly blanket and WAIT WHAT??? Amidst ongoing talks and grim forecasts of declining coral reefs spelling demise for the world as we know it, the discovery of this endemic to Okinawa Island (Japan) flower-like octocoral comes as a stunning reminder of Nature’s supremacy. Described as a new genus, as well as a species new to science, the octocoral was aptly named Hana hanagasa, where “Hana” translates to “flower” in Japanese, while “hanagasa” is a traditional Okinawan headpiece, crafted in the form of hibiscus and worn by female dancers at ceremonies. Find the study by the team of Yee Wah Lau and Dr James Reimer of the University of the University of the Ryukyus (Japan) and their colleagues Frank Robert Stokvis and Dr Leen van Ofwegen at Naturalis Biodiversity Center (the Netherlands) in ZooKeys at: https://doi.org/10.3897/zookeys.790.28875. Upon writing up the description of this species of Indonesian shrimp, Leiden University’s then BSc student Werner de Gier is unlikely to have thought twice before coming up with the name bagginsi, as in Frodo and Bilbo Baggins – the most famous hobbits from J. R. R.Tolkien’s The Lord of the Rings and The Hobbit. News story by Mike Wehner via New York Post. After all, what the researcher was looking at was a creature tiny enough to call another marine invertebrate – a tunicate – its snug home. Also, it had extremely hairy feet, a feature that would require for the identification key for all members of the species group to be updated. Find the study by Werner de Gier and Dr Charles Fransen of the Naturalis Biodiversity Center published in ZooKeys at: https://doi.org/10.3897/zookeys.765.25277. Photo by Dr Toby S. Daly-Engel. One might think that an animal as large as a shark – especially if it’s the only shark species found in the waters of the Hawaiian Archipelago – would’ve “told” all its “secrets” by now, but that wasn’t the case with what we now refer to as the Hawaiian Spurdog. Long mistaken for a stray population of a dogfish shark species originally from Japan, it wasn’t before US scientists deployed a range of elaborate tools used in species identification that it became apparent there was a previously unknown to science, short-ranged endemic shark trying to find shelter in Hawai’i. Sadly, while the species is being depleted as bycatch, it has also demonstrated the lowest rate of genetic diversity known in a shark population to date. #NewSpecies of deep-water dogfish #shark endemic to #Hawaii had previously been mistaken for the Shortspine #Spurdog originally described from Japanese waters. 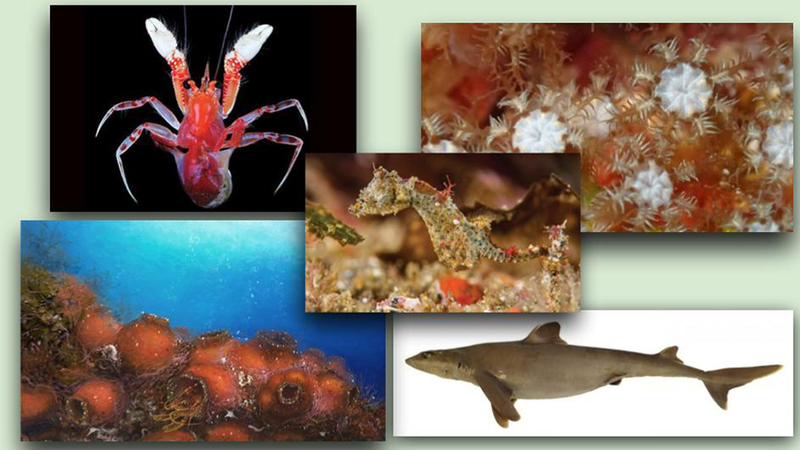 Find the study by Dr Toby Daly-Engel, Florida Institute of Technology, Amber Koch, University of West Florida, Dr James Anderson, University of Hawaii at Mānoa, and Charles Cotton and Dean Grubbs, both affiliated with the Florida State University Coastal and Marine Laboratory published in ZooKeys at: https://doi.org/10.3897/zookeys.798.28375. Happy Taxonomist Appreciation Day from Pensoft! “Even if you’re working on a single-species system, or are a theoretician, the discoveries and methods of systematists are the basis of your work,” he once told the Consortium of European Taxonomic Facilities (CETAF). “We need active work on taxonomy and systematics if our work is going to progress, and if we are to apply our findings. Without taxonomists, entire fields wouldn’t exist. We’d be working in darkness”.